Head coach Darin Erstad described it as a “decent weekend” but that might be underselling things a tad. 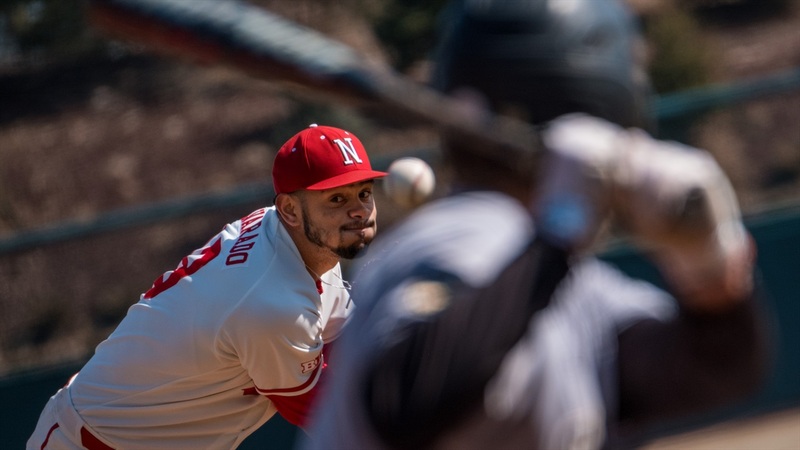 Behind a no-hitter performance that lasted until the sixth, an offensive highlight tape and a largely error-free afternoon, the Huskers (20-22, 4-9 Big Ten) picked up their first series sweep of the season with a 12-5 win over Nevada (21-19, 13-6 Mountain West). Nebraska had a 6-0 lead on five hits after just two innings, with three of those runs coming off senior Scott Schreiber’s 16th home run of the season. The shot broke a tie with Erstad for sixth all-time in program history and moved Schreiber into a tie for fifth. Erstad told Schreiber about the leaderboard in the dugout but also said he didn’t care about the record. The leading man has been trying to get the team to play with a business-like approach day in and day out all season. “You can’t let who you’re playing or the situation affect how you go about your business,” Erstad said. “You go about it whether it’s Tuesday, Sunday, it doesn’t matter and I haven’t been able to get that across to this group. Maybe simply scoring a bunch of runs early isn’t cracking a code, and it’s definitely not something you can rely on, but starting pitcher Luis Alvarado said those first two innings helped everything. “Putting that zero in the first inning and then seeing the guys score two and then putting another zero and then scoring four, that was good for me because they gave me the chance to stay comfortable and use more fastballs,” Alvarado said. The senior righty carried a no-hitter into the sixth inning. By that point, he was sitting on 56 pitches thrown while Nevada was onto its third pitcher. The Wolfpack only hit him twice and didn’t bring a run across until the seventh. Alvarado knew what he was working with but just concentrated on throwing strikes and getting out of innings quickly. Erstad said it’s been an uphill battle for Alvarado getting to this point this season, developing into a starting pitcher and being a weekend guy, but he thought Saturday’s performance was as good as any this year. Alvarado didn’t go the distance, Erstad sat him down after the eighth citing his 94-pitch count and the desire to get some “young pups” into the game. Had it been a shutout or a still-intact no-hitter bid, maybe Erstad would have left him out there, but Nebraska entered the final frame up 12-1. For all intents and purposes, the game was over. Now the attention turns back to conference play, where the Huskers will need to string some things together to make the conference tournament in Omaha. They’ll begin a three-game home series against Maryland next Friday.